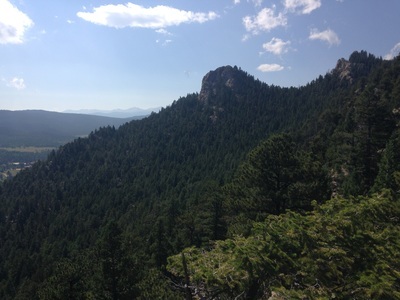 Directions: From Denver take I-70 west to 58 west to 93 north in Golden, CO. 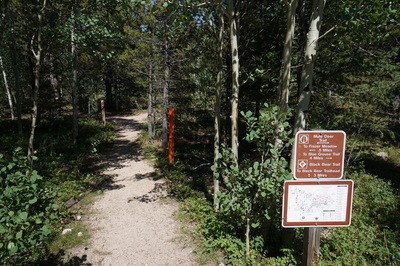 Turn left (west) onto Golden Gate Canyon Road (following signs to the state park). Follow GGC Road for approx. 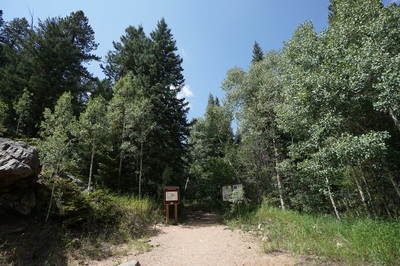 14 miles and enter the park. Turn right at the intersection next to the visitor center. 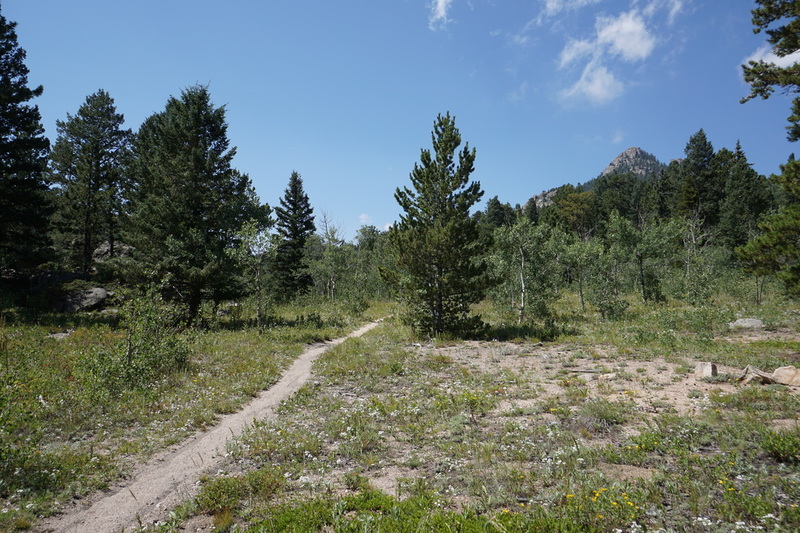 The 1st turnoff will be for Raven's Roost but you should park at the second turnoff; Horseshoe Trailhead. 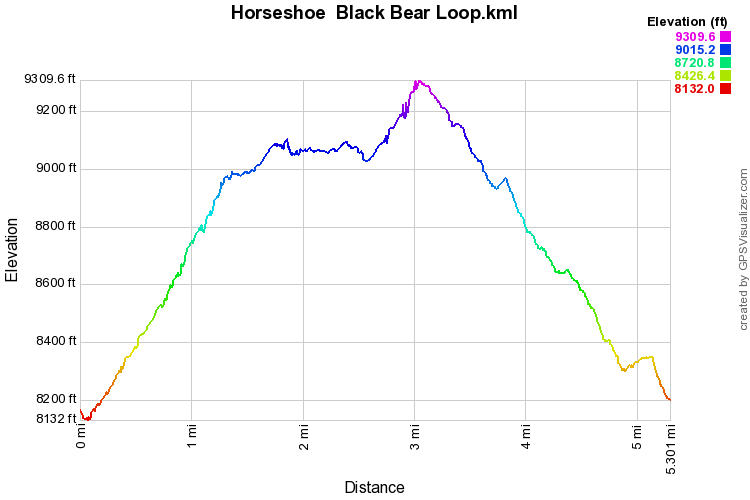 The Horseshoe/Black Bear Loop is one of the best hikes in the park. 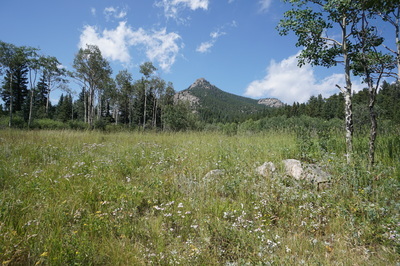 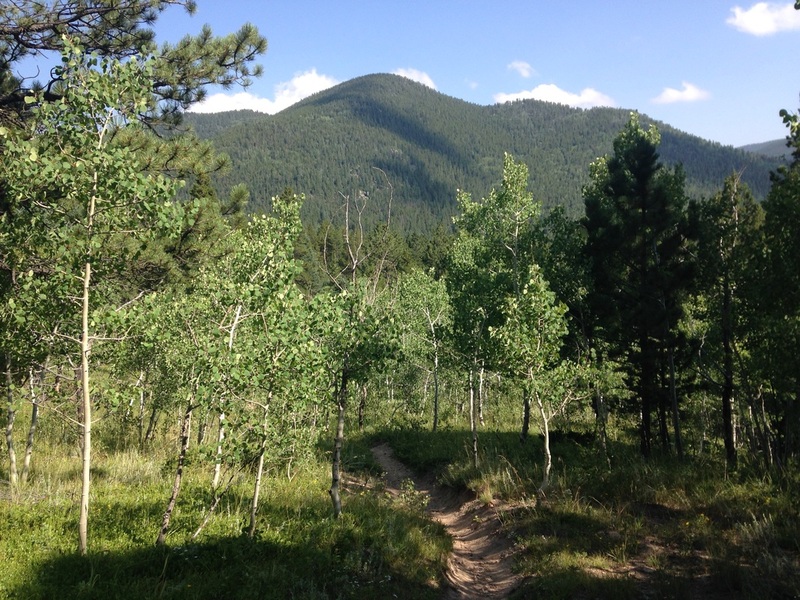 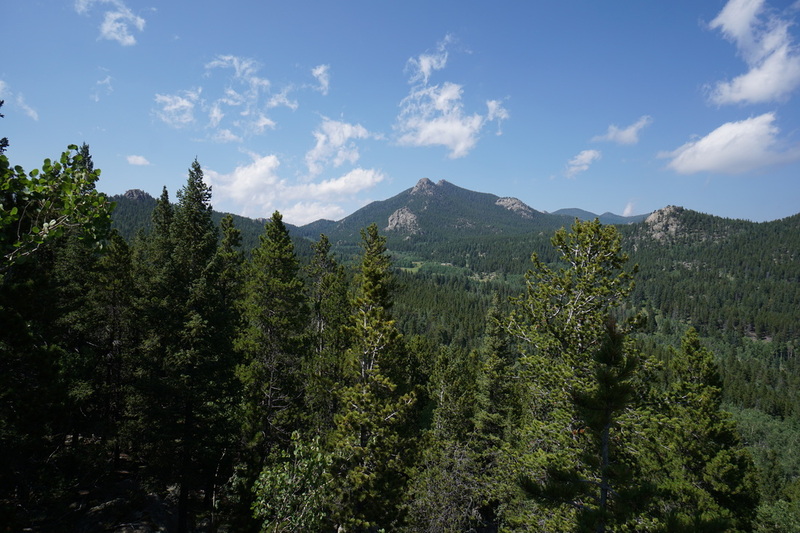 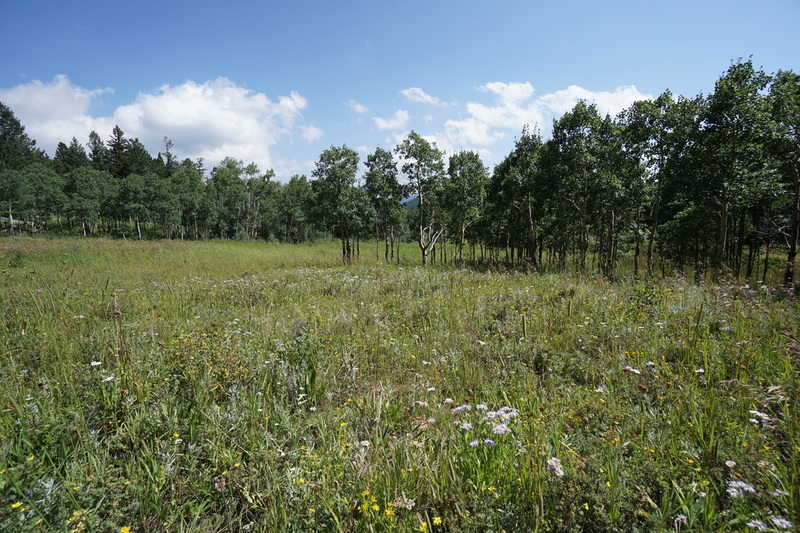 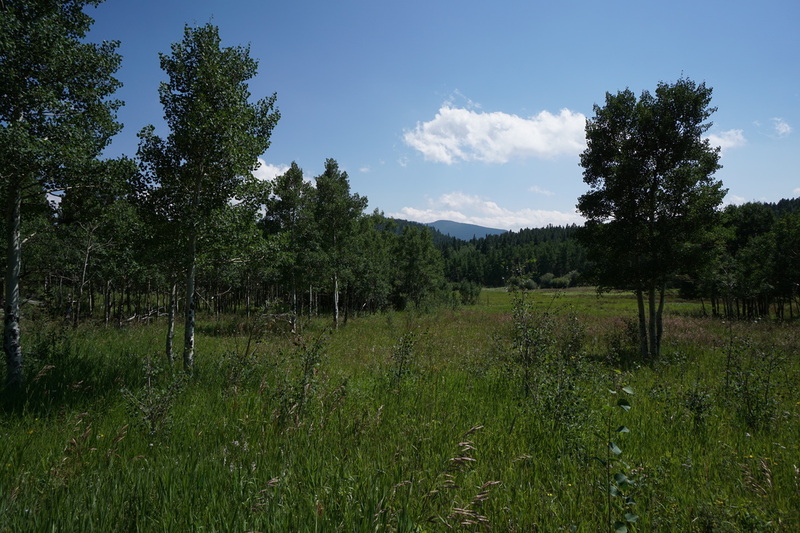 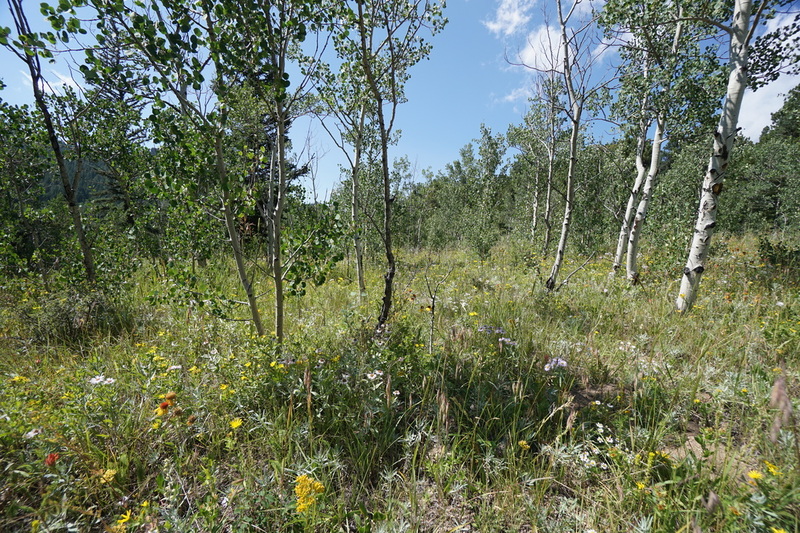 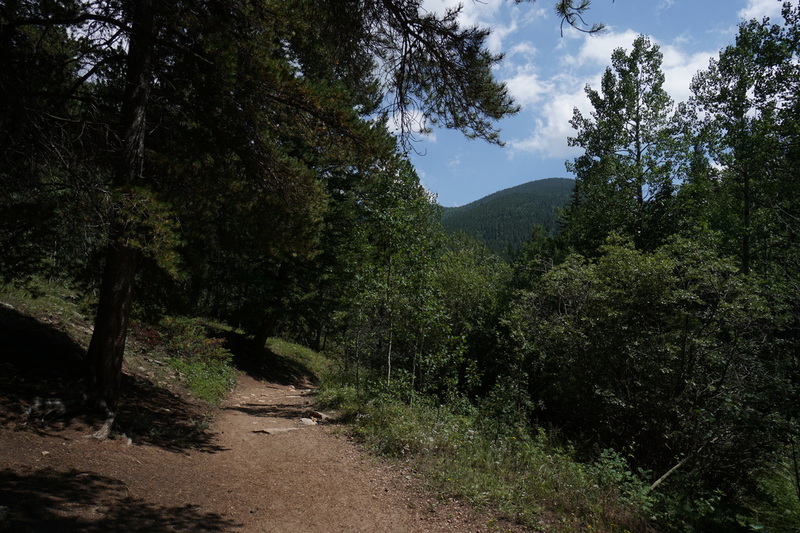 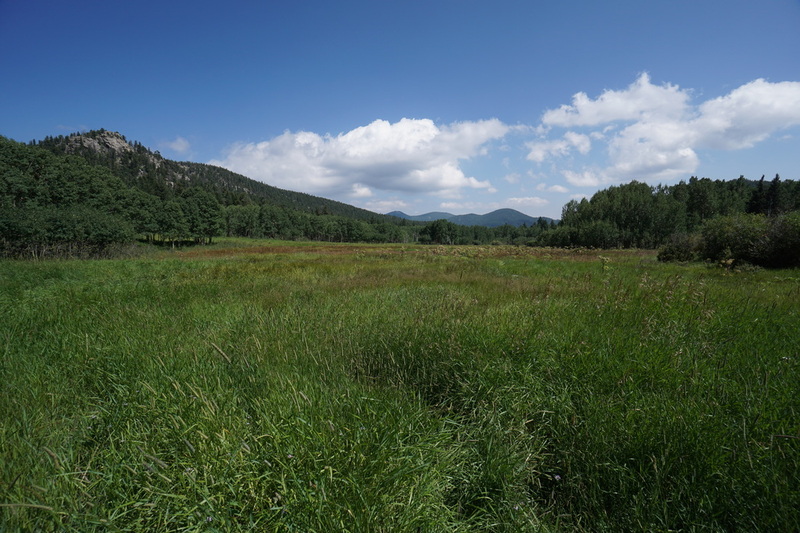 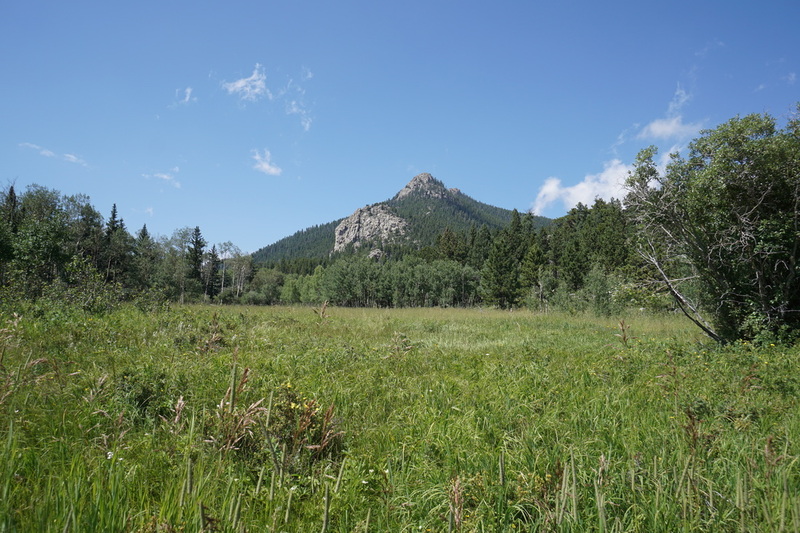 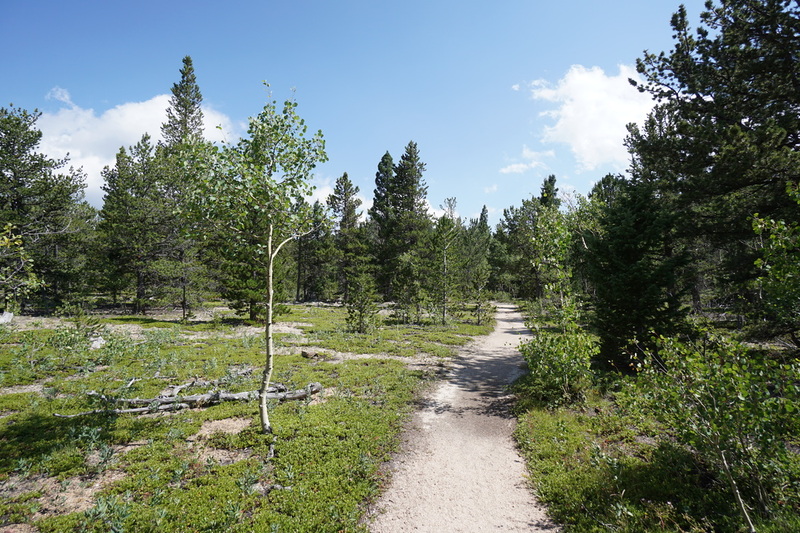 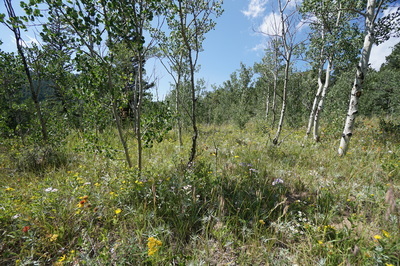 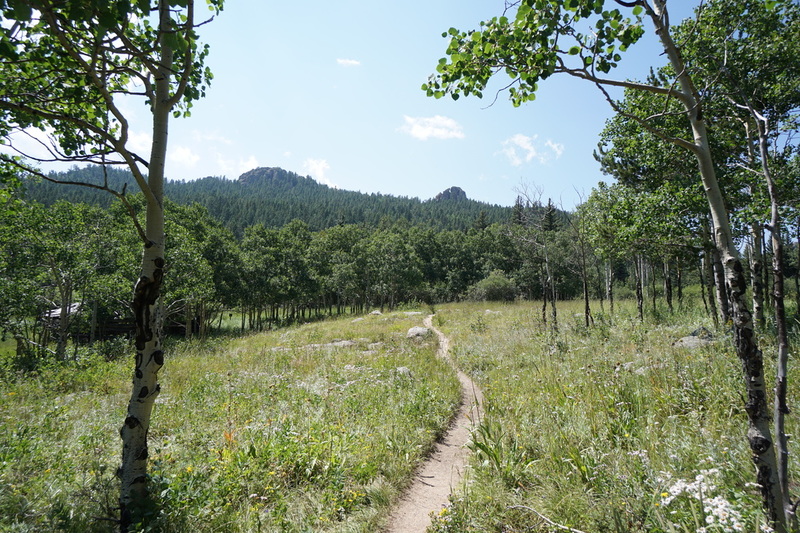 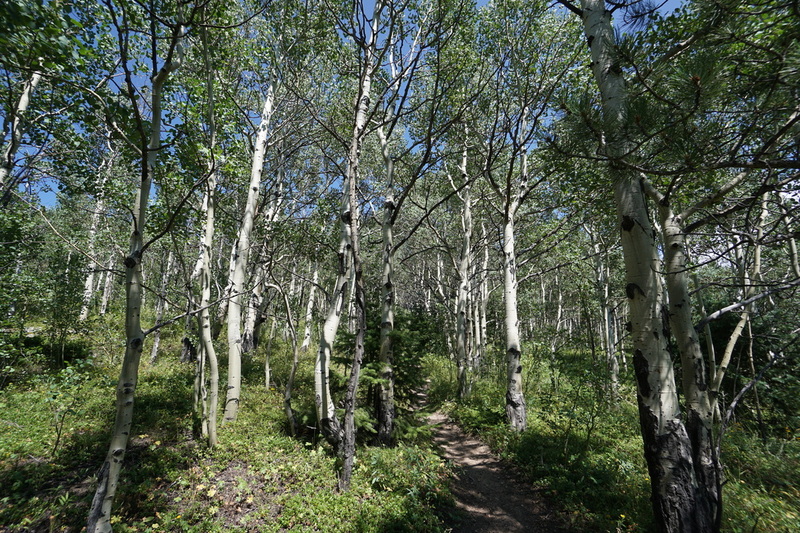 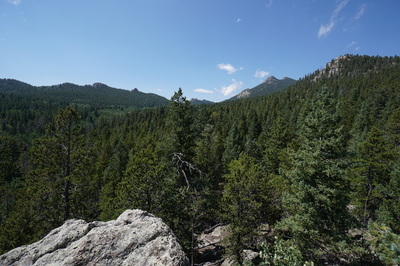 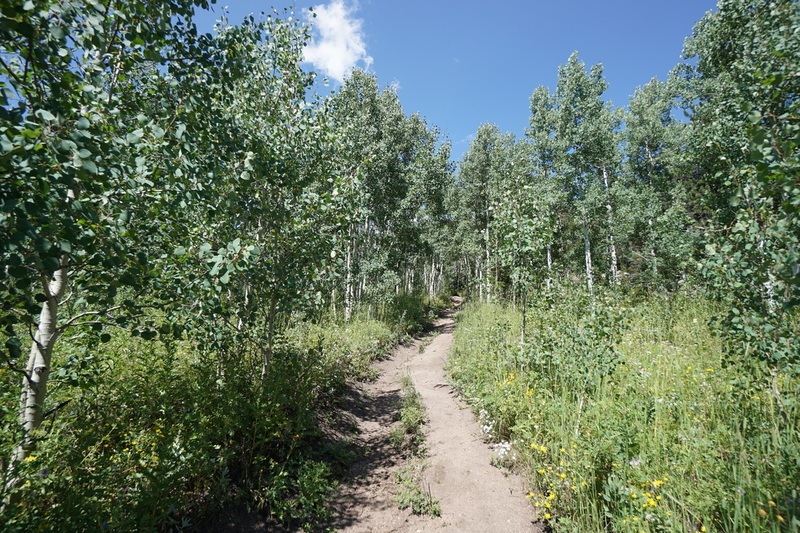 It starts off as an easy hike through aspen forest and a gentle walk across Frazer Meadow and quickly turns into a tough scramble up rocky ridges with views of the Continental Divide. 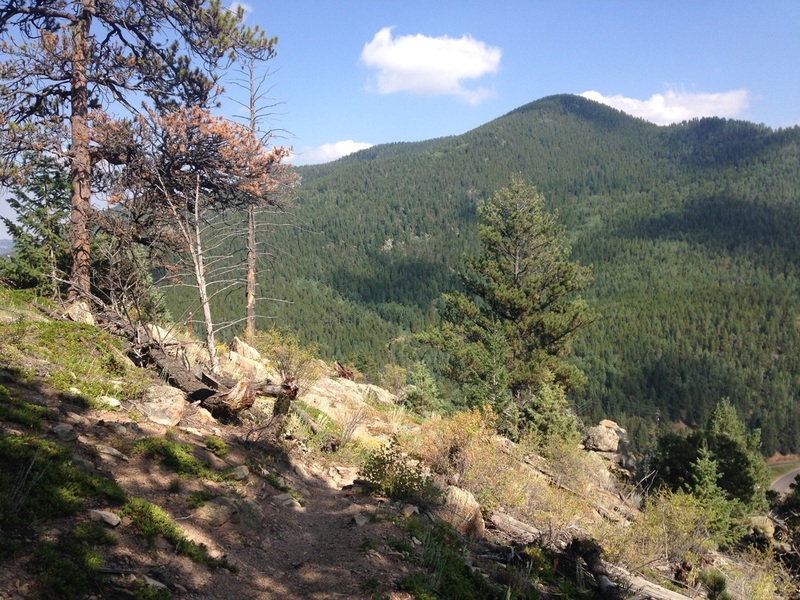 With a great aerobic workout and lots of fun, this hike has it all. 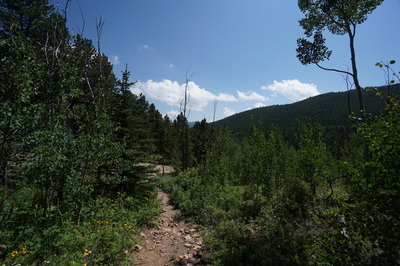 From the trailhead head up the Horseshoe trail as it ascends gently. 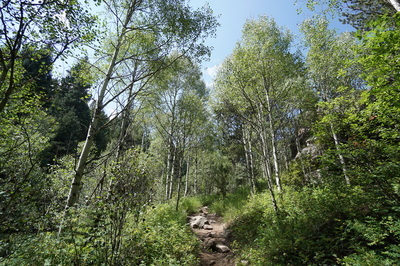 You'll pass through evergreen forest along a creek and pass through numerous aspen groves. This hike would be even better in the fall. After about a mile of ascent, you'll reach a junction with the Greenfield Meadows Campground trail heading to the right and the Horseshoe trail continuing to the left. 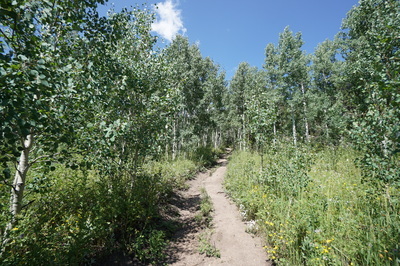 Stay right and hike through the campground. You'll add about .5 of ascent but you get some amazing views and the opportunity to see Frazer Meadow in all its glory. 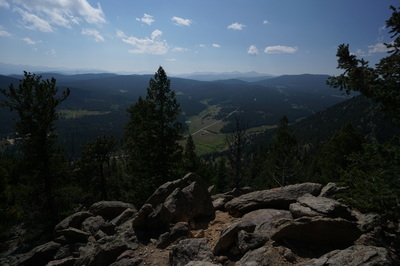 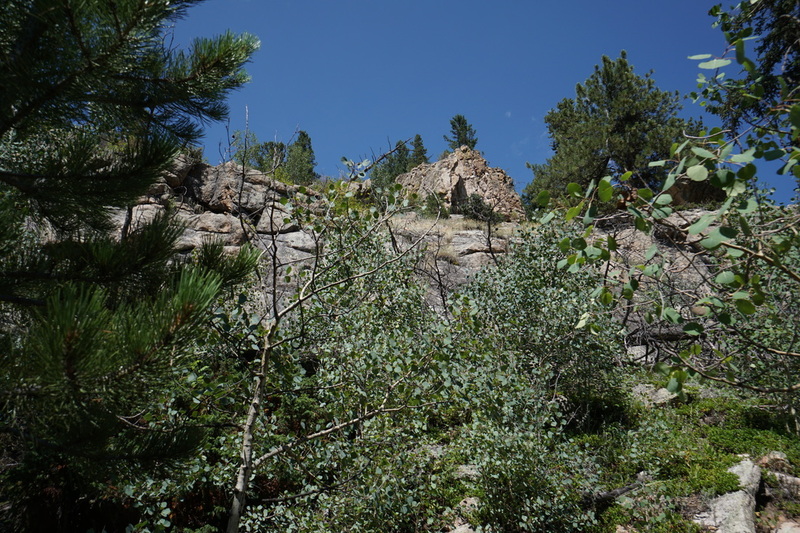 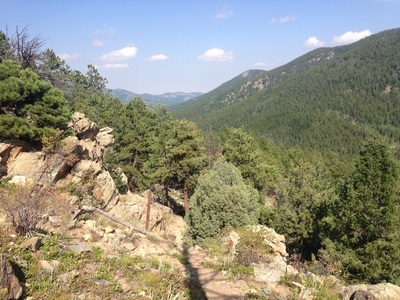 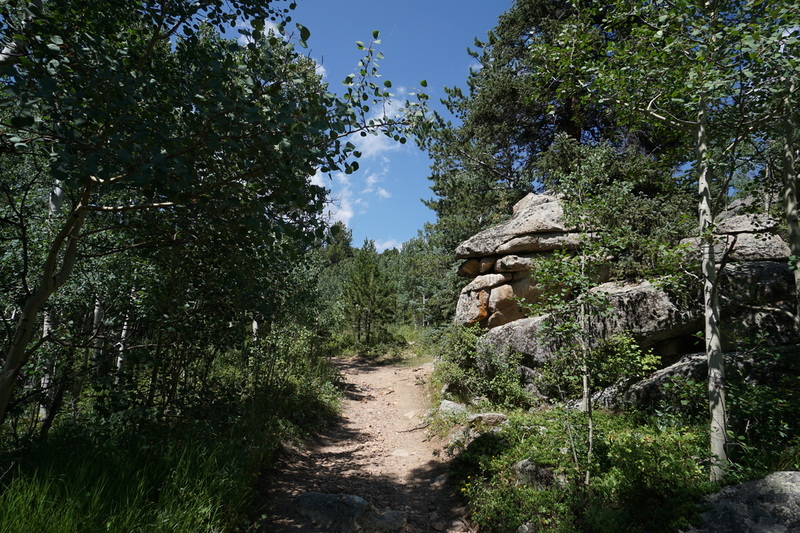 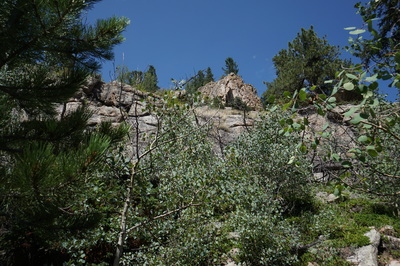 After you hike through the campsites (across from campsite #4 there is a rock outcropping with a great view) you'll reach the Mule Deer Trail. 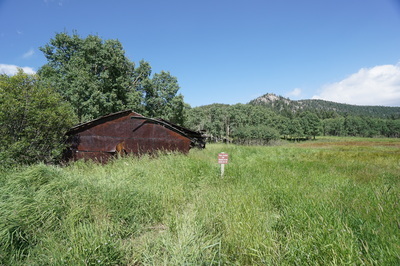 Turn left here and follow it across Frazer Meadow, past the old barn structure, and turn right onto Black Bear Trail. 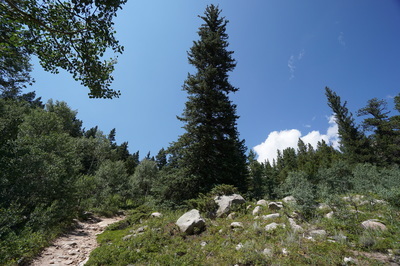 This is where the hike gets really interesting. 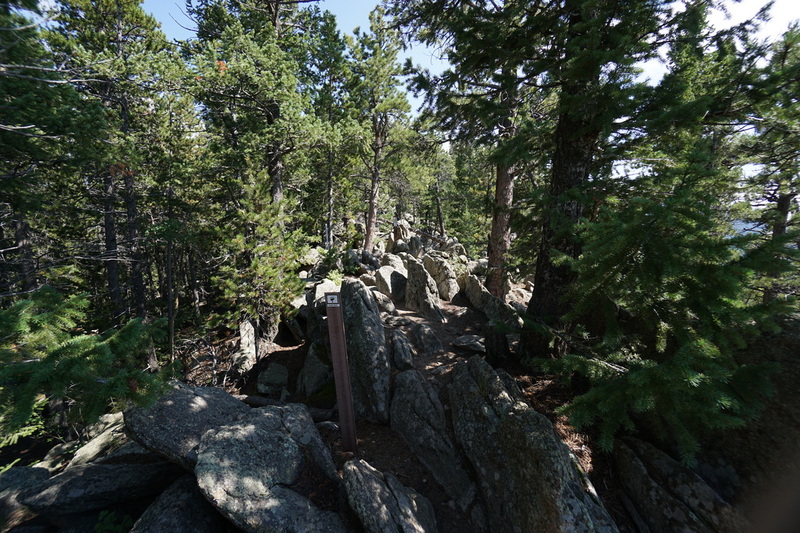 Black Bear Trail is a bit more difficult. 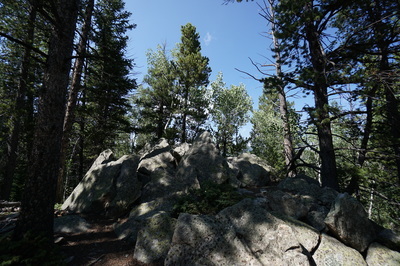 It climbs up along steep rocky trail to the top of a rock ridge and follows the ridge for a while. 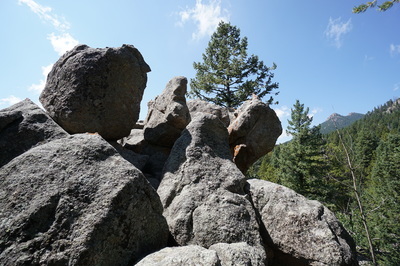 You'll have to scramble in a few spots and do some boulder hopping. 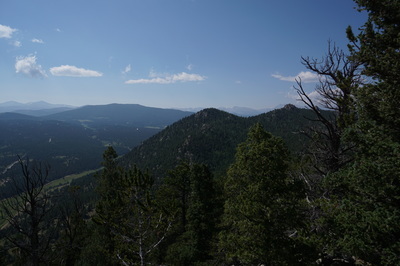 When you get to the obvious summit you'll be rewarded with views to the west including Mt. Evans, Grays and Torreys Peaks, James Peak, and the Indian Peaks. 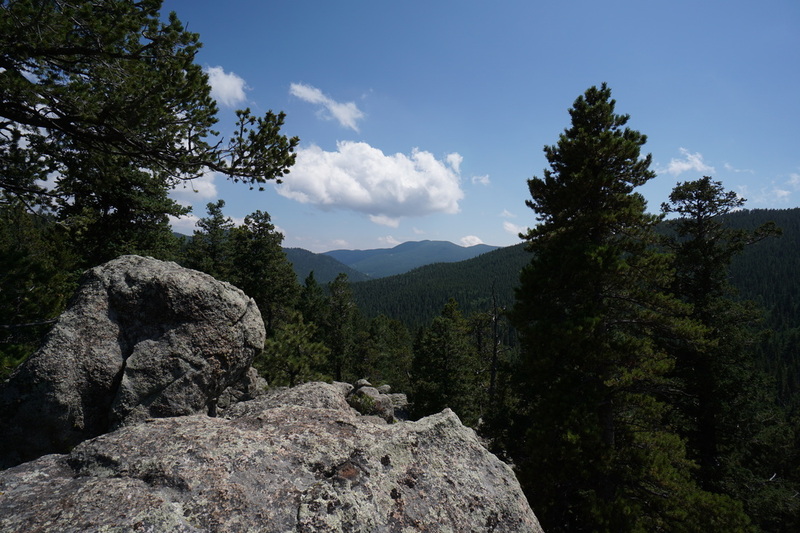 Leave the summit and start heading down through rocky terrain under cliffs and across outcroppings...the views on this stretch are excellent. 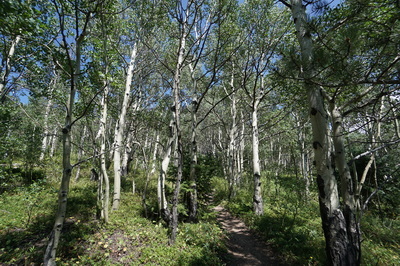 The Black Bear Trail is about 3 miles back to the trailhead and it is a steep and steady decent. 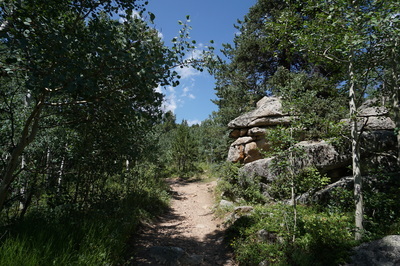 When you are just about to the Raven's Roost Trailhead, turn left towards the Horseshoe Trail, this will take you back to the Horseshoe Trailhead, where you started.